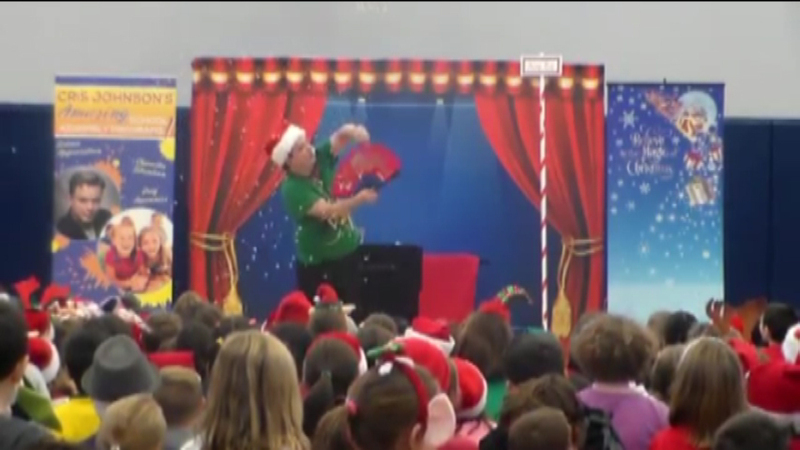 A Fun-Filled Family Christmas Magic Show! I’ve noticed that during the holidays, people seem to be friendlier, quicker with a smile, and more patient – whether it’s Christmas, Hanukkah, Kwanzaa, Ōmisoka, or another holiday, people just seem to have a better attitude during the holidays. That’s hardly a major revelation, I know, but it was one of my reasons for creating “Christmas Magic,” a fun-filled holiday magic show that’s sure to warm the hearts of everyone who sees it! This is a fun show that features magical adventures with Rudolph The Red-Nosed Reindeer, Frosty The Snowman, The Grinch, and for larger events, even a visit from the one and only Santa Claus! 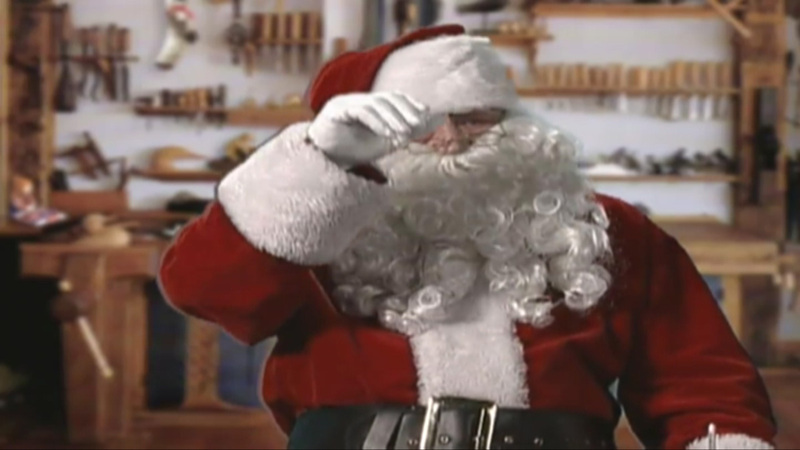 The set design of this show features a beautiful snow-covered village, the appearance of a North Pole, classic Christmas songs, and more. The intimate version of Christmas Magic is perfect for events where there will be 50 or fewer guests such as libraries. 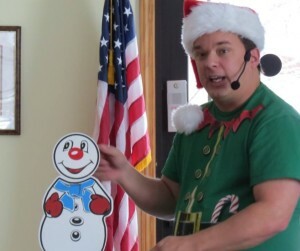 I bring a colorful Christmas-themed banner and perform 40-45 minutes of fun magic that’s interactive, hilarious, and suitable for kids of any age as well as fun-loving adults. During this show, one child helps me create a 50 foot colorful decoration for the Christmas Tree… but this decoration comes from the weirdest place! 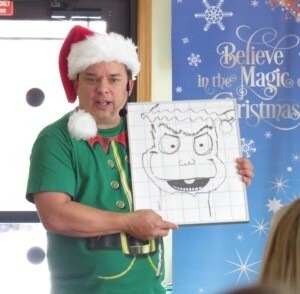 A drawing of The Grinch comes to life! A beautiful indoor ‘Snowstom’ will delight both young and old! This is a medium-sized version of the show perfect for school assemblies and family nights at schools. This show features everything from the previous version plus even larger magic and more fun: Santa’s Refreshments cause all manner of tasty treats to magically appear; beautiful ‘Christmas Lights’ appear from the ears of children in the audience; one child helps me open one of my Christmas gifts early… and the child volunteer FLOATS in the air! That’s a small sample of what your audience can expect from this wonderous show. 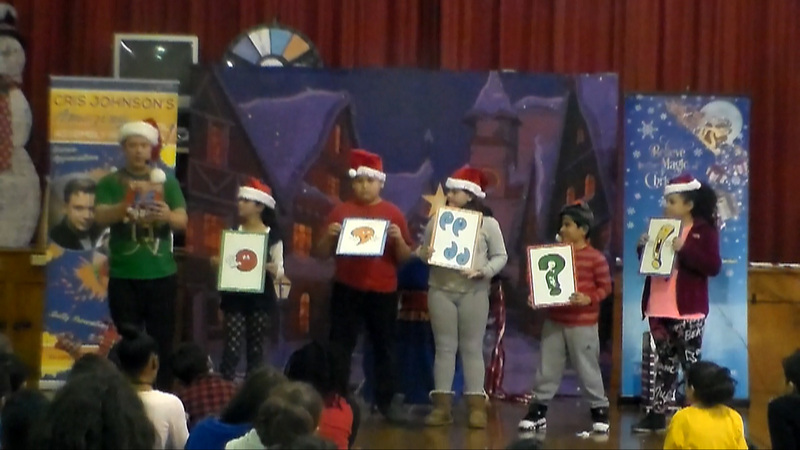 If you’re looking for a Christmas-themed show for your elementary school, I’ve even created grade-specific versions of “Christmas Magic” so each group will enjoy the show even more! Is Santa coming to your event? If so, THIS show will enhance his arrival in a way no one will believe! This big, SUPER DELUXE version of “Christmas Magic” is perfect for corporate family parties and mall events where Santa comes to visit the kids. 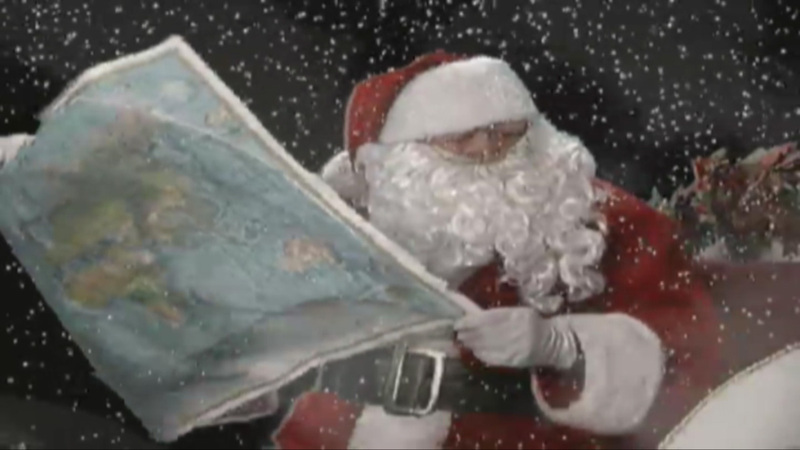 In addition to the beautiful set design and interactive Christmas-themed magic from the previous options, also features the incredible “Santa-Via-Satellite” option where through the use of a large projection screen, Santa appears onscreen to talk to the kids – first from his workshop and then from his sleigh as he flies closer and closer to your event! As he makes his way to your venue, a snowstorm onscreen causes him to lose his way… until all the kids (and a little bit of magic!) cause him to magically appear in person right onstage at your event, making his magical arrival from a giant empty giftbox! This multi-media event is sure to be the holiday program your guests remember for years! Regardless of which version that you choose, you can rest assured that because there is NO religious content in the show, this program is inclusive for all guests and backgrounds. I take special care to ensure that while there is NO off-color humor or language, any and all adults will enjoy the show just as much as the kids. 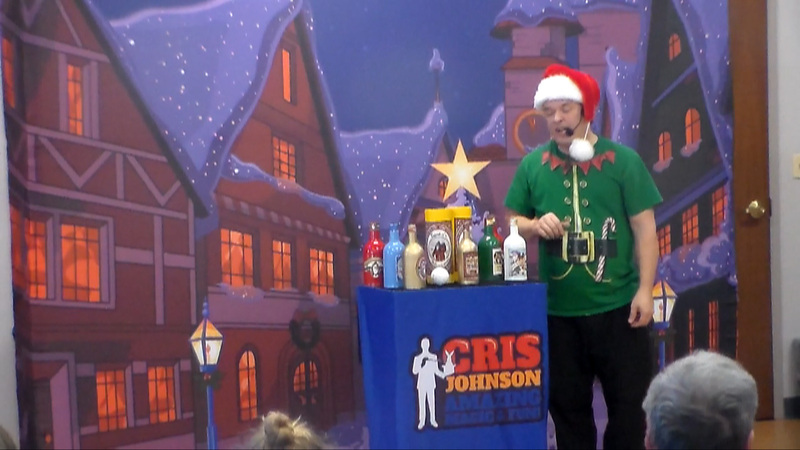 Read important Information About Cris Johnson’s Fun-Filled Magic Show. Thank you for the wonderful Christmas Magic Show that you presented to our library community. Local children enjoyed participating and had a blast with magic. Parents also enjoyed seeing the delight that the children had with lightbulbs appearing behind ears and necks, and the indoor snowstorm, among your magical feats. There were many compliments on how well you worked with the children. We hope to have you again next year and look forward to new magic that you will share with us.